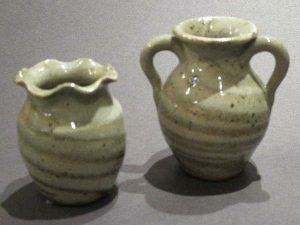 The use of pottery jugs can be traced back beyond the Roman Empire. 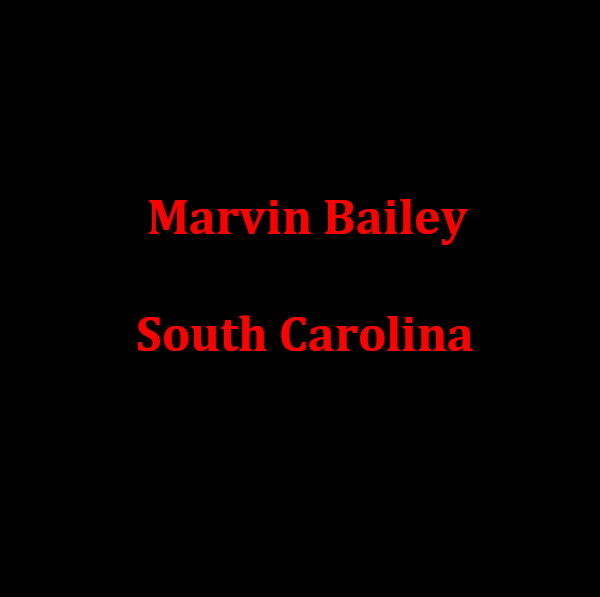 In a region like ours, where histories are often oral, tracing the origins of our traditions is tricky. Face jugs are one of the traditions that are an amalgam of many cultural influences. Among that rich history is the port of Charleston; the African tradition of using jug pots as headstones was brought to our culture through this port. 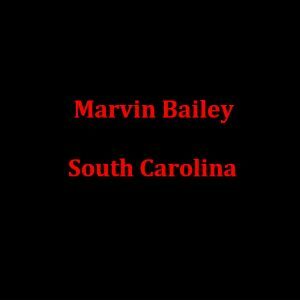 Highly prized red glaze recipes from China also made their way to our region from the Charleston port. Even from the pubs of England came a long history and influence through their ever-charming Toby mugs. 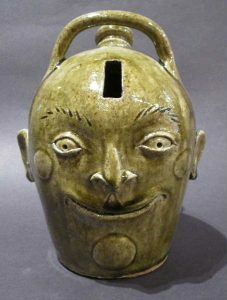 Face jugs combine the utilitarian influences of early regional pottery with the unique imagination of individual pottery makers. In the mountains of Georgia and the Catawba Valley of North Carolina, ugly faces, snakes, and devils were added to Market Jugs beginning in the late 1800’s. These embellished pots were used to buy & store liquor; the ominous features would scare children so they would not be tempted to try the contents. We don’t always have pottery by these extraordinary potters, but we often do, so check back often to see new selections. 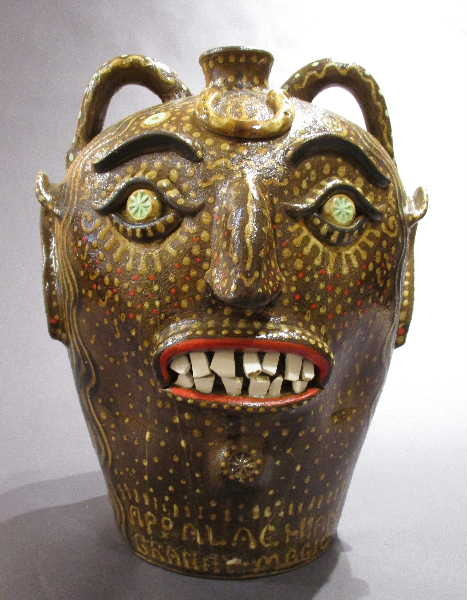 IF you would like to be informed when new Face Jugs arrive or notification of our Annual Face Jug Show, either call 828-281-2134, or email us folkart@amerifolk.com. 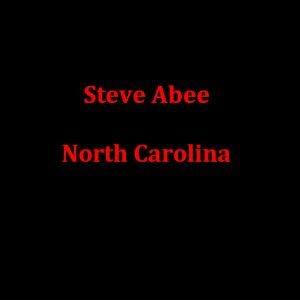 STEVE Abee is a Burke County, NC native, one of the younger, talented, and popular potters working in the Catawba Valley. 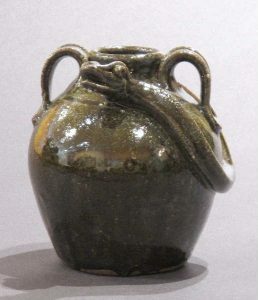 As with so many of the Catawba potters, Abee became interested in pottery making after attending a Burlon Craig kiln sale. By 1994, Steve was in full production and soon after, he earned his potter’s credentials by building his own underground wood-fired kiln. He is carrying on traditional southern pottery traditions by creating face jugs, digging his own clay, and mixing his own glazes. 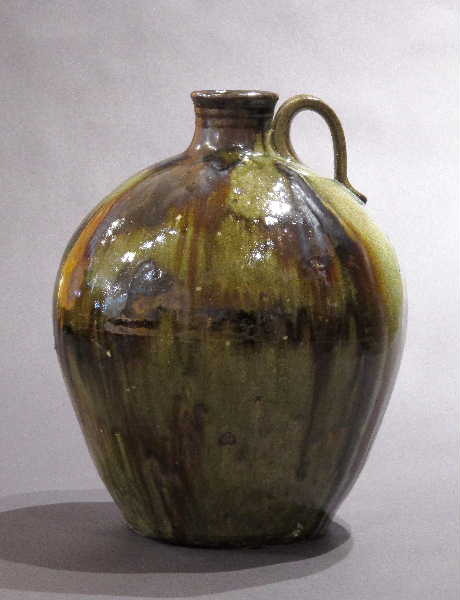 MICHAEL Ball lives and works in Western North Carolina, home to rich traditions in the making of pottery. Many potters, including Mike, are still hand digging their clay and wood firing in groundhog kilns, just as potters did in the 19th century. 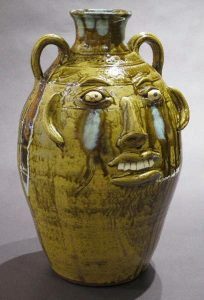 Mike learned his trade both from Kim Ellington and Charlie Lisk who in turn learned directly from local master Burlon Craig, the last potter experienced in the earliest traditions of the region. 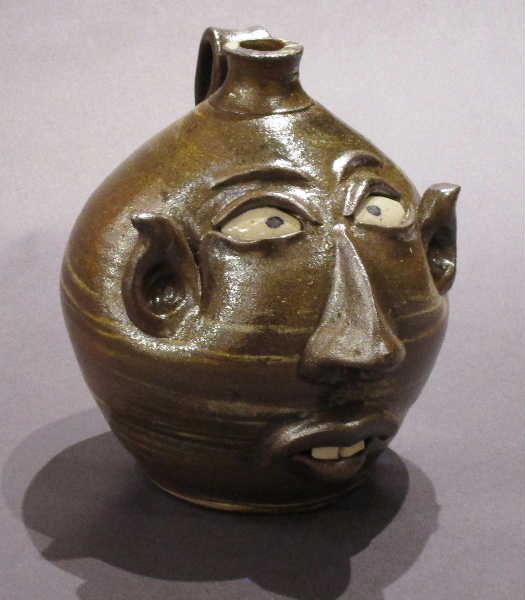 Mikes face jugs are expressive, each one unique in its facial features and fanciful flair. Following local tradition, he incorporates beautiful glass drips and uses broken plates for teeth. 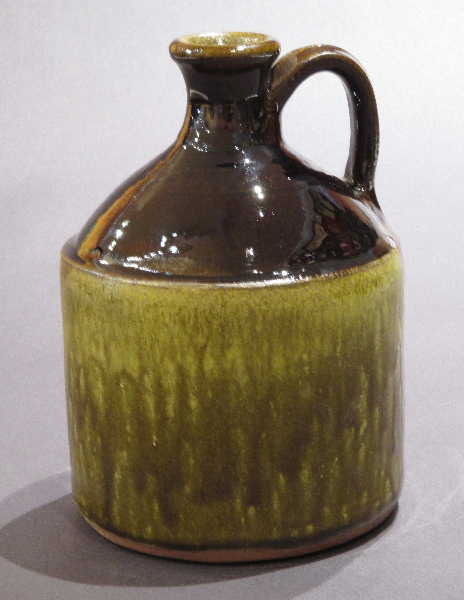 Mike also creates an assortment of utilitarian ware. 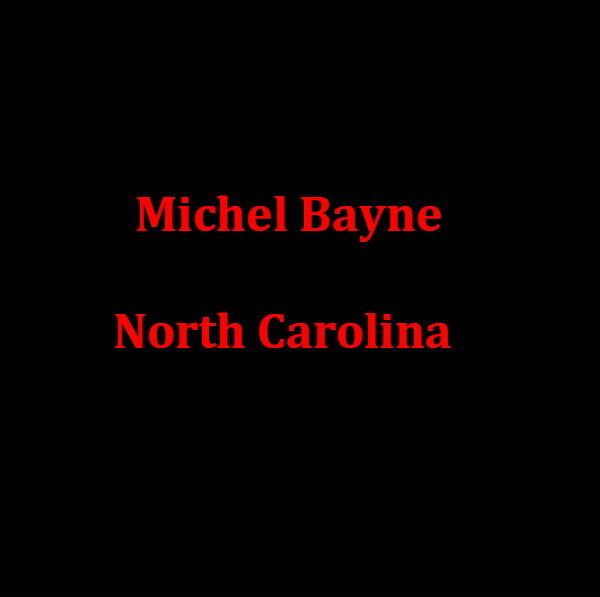 MICHEL Bayne was born & raised in Tigersville, SC, where his mother helped sparked his creativity. He discovered clay just after high school & kept it as a beloved hobby for 25 years. 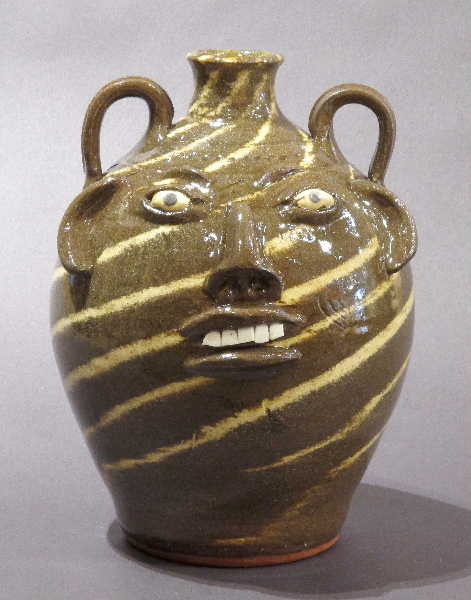 After a workplace injury, he switched from being a heating & air conditioning guy, and began pursuing pottery. 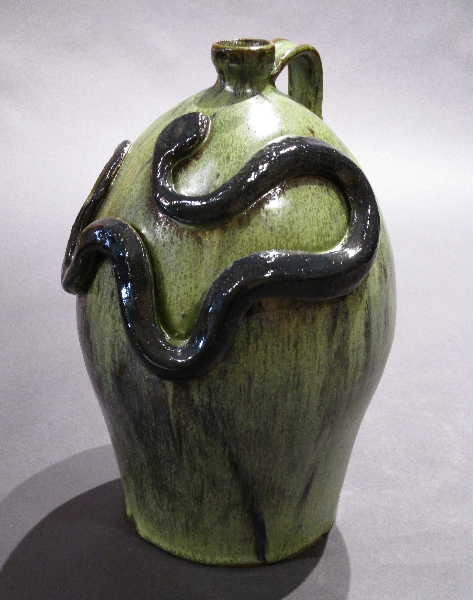 In 2008, he moved to North Carolina and specializes in historically-inspired American stoneware. “The forms I create are reminiscent of vessels traditionally made in South Carolina: full & round. 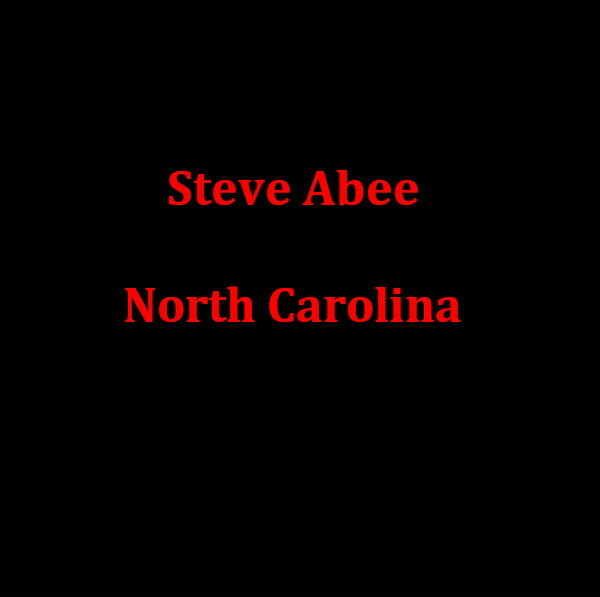 But, my interests go beyond South Carolinian to a more worldly inspiration.” Michel makes his own glazes, and fires in a wood-fired kiln. 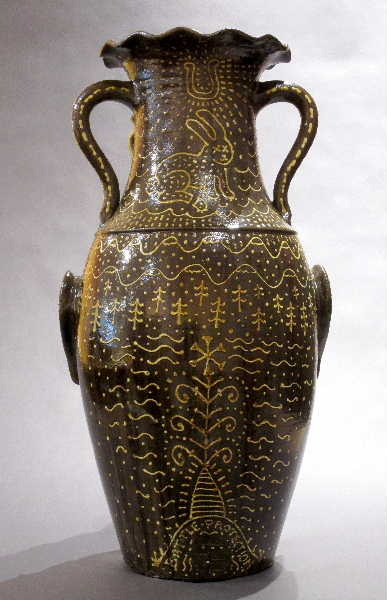 He evolves traditional incising design or colored slips to a complicated level of detail. His merging of tradition and ingenuity is evident, bringing him much recognition and admiration. 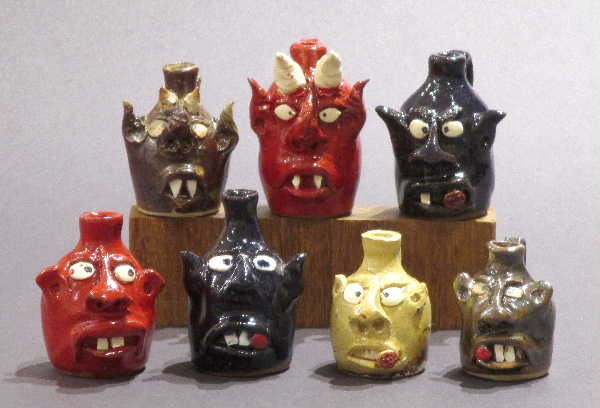 Michel’s face jugs are very distinct. He uses a traditional technique of adding clay to the outside of the jugs; however, he opens the bottom of his jugs, and manipulates the clay from the inside and out, creating a more sculptural, almost life-like beauty. KIM Ellington is a Catawba Valley, NC native, whose interest in the pottery of his home region inspired him to study pottery at Haywood Technical College in the mountains of NC…while he learned a lot, when he returned home, he tried to reproduce the old time pottery that had inspired him, and failed. He realized the storied potter B B Craig lived less than a mile from him, so ventured over and began helping Mr Craig, getting in return the knowledge and techniques he needed to create what he longed to. He digs his clay from the same deposits Craig did, fires in a similiar ‘ground-hog’ wood fired kiln, and uses ash and other traditional glaze materials. 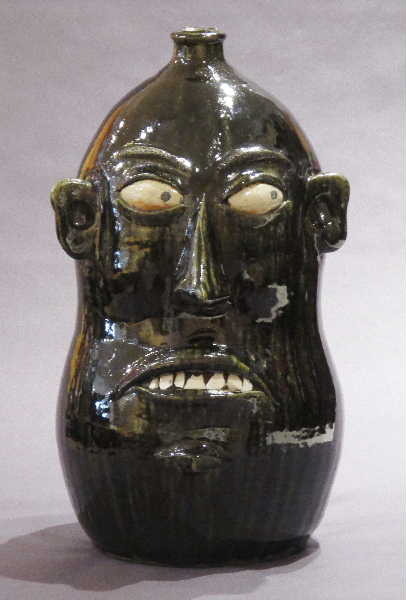 He rarely makes face jugs, focusing more on creating beautiful utilitarian wares with a timeless quality about them. We beg for a face jug or 2 from Kim every year, and sometimes we actually are granted that honor. 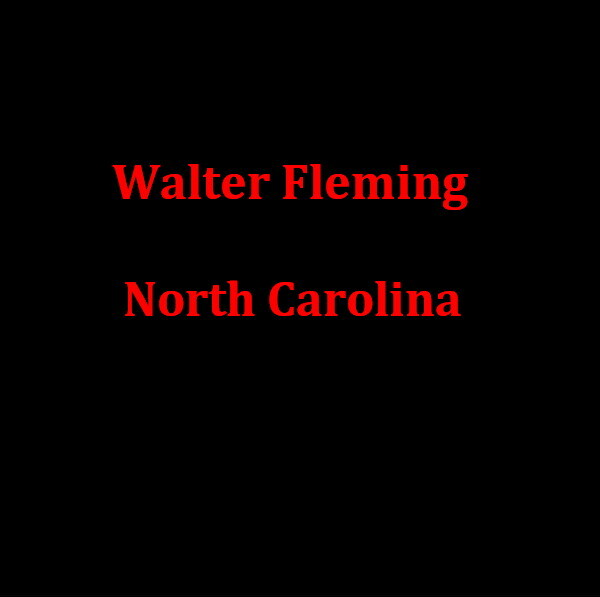 WALTER Fleming, a Presbyterian minister by day, has always been interested in rural tasks and early American craftsmanship. 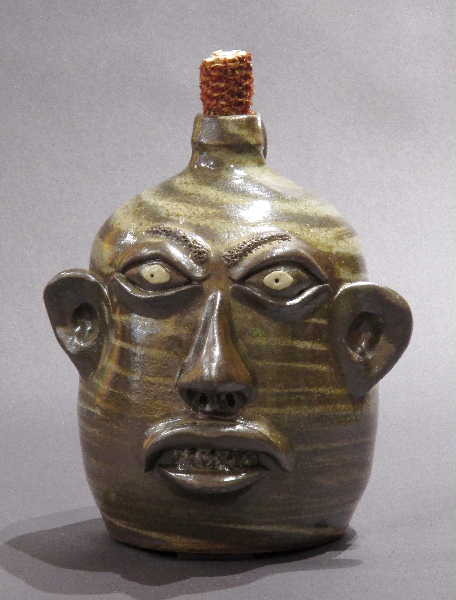 He developed invaluable relationships with well-known potters, such as Burlon Craig and Charlie Lisk, who inspired him to carry on regional traditions. Walter digs his own clay from the creek running through his property, both for his pottery and for his glazes. 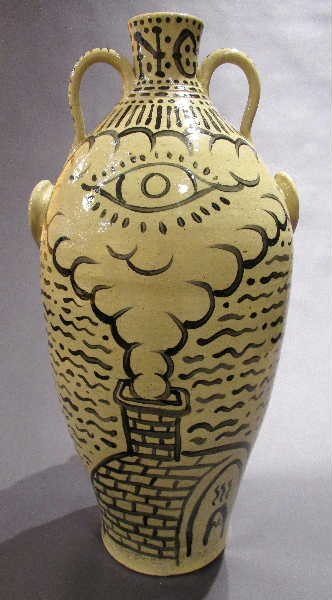 He resists the temptation to overly stylize his vessels, thus creating pieces that are rooted in the old style, yet uniquely his own. 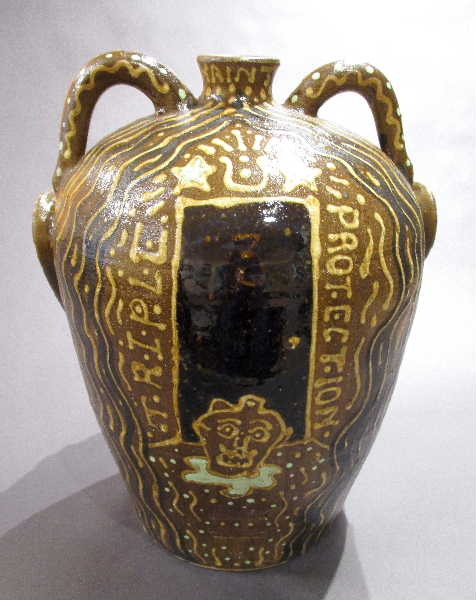 MICHAEL Gates is a North Carolina potter and a descendant of a German family synonymous with time honored traditions: The Reinhardt Pottery. 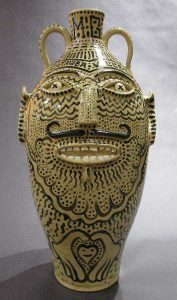 He is a sixth-generation potter carrying on techniques while adding his own inspired voice. 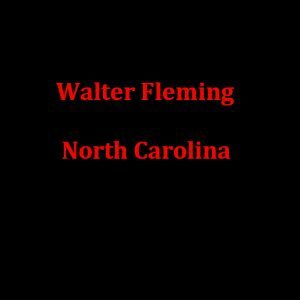 He studied ceramics at UNC- Greensboro as well as in Australia just before the turn of this century, and upon returning to NC, he worked with several Catawba Valley traditional potters. Michael’s pottery is an appealing mix of the aboriginal love of texture and dots and traditional slip decoration. He fires in a wood- fired ground hog kiln, digs his own clay, and, using alkaline glazes, creates functional ware that honors the old, yet pushes toward the future. 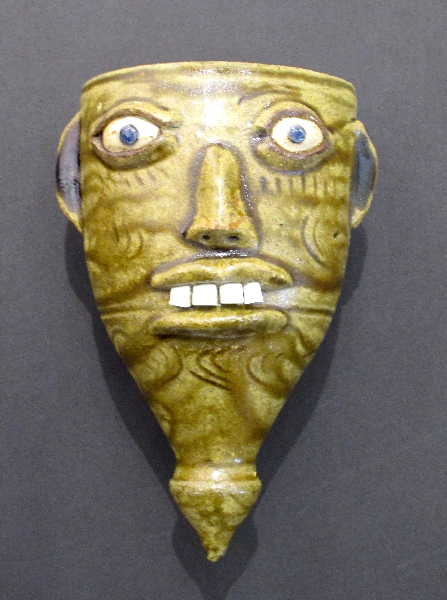 He sometimes even uses broken Reinhardt pottery shards for teeth. 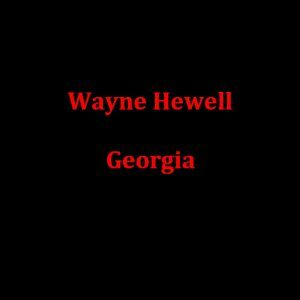 WAYNE Hewell is a 5th generation potter, and farmer, in the mountains of Georgia. He is part of the Hewell family of Georgia, who have been potters for more than a hundred years. The patriarch of this family was Eli D. Hewell, who established the pottery in 1890. 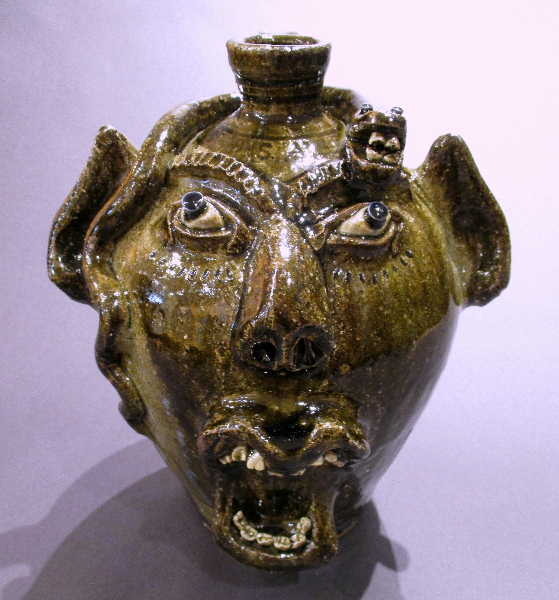 His aunt is Marie Rodgers-the first woman folk potter to independently operate entirely on her own. 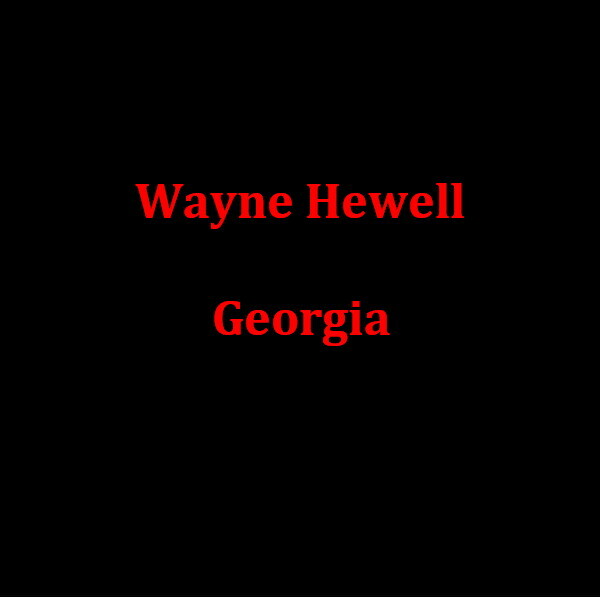 Wayne’s lineage has undoubtedly influenced him. He uses wild clay from Georgia, fires in a wood-fired kiln, and uses Tobacco Spit or Alkaline glazes to create the greenish, runny surfaces on the jugs. 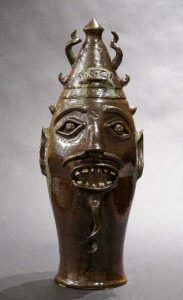 Wayne often incorporates humor into the faces by adding grimaces, points to the ears, cigars, etc. 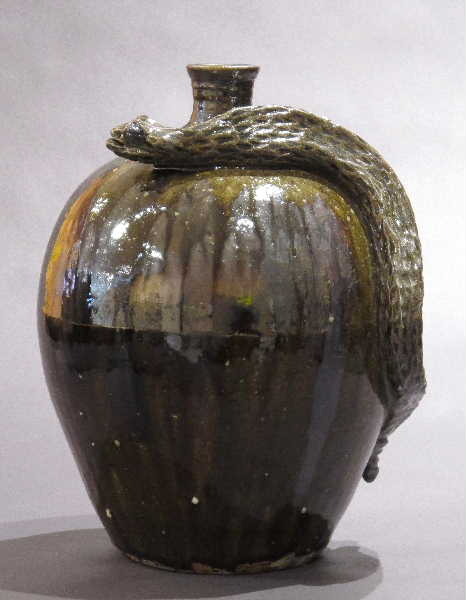 Wayne is also known for his swirlware, a process of combining two different clay bodies which result in an amazing striped effect. 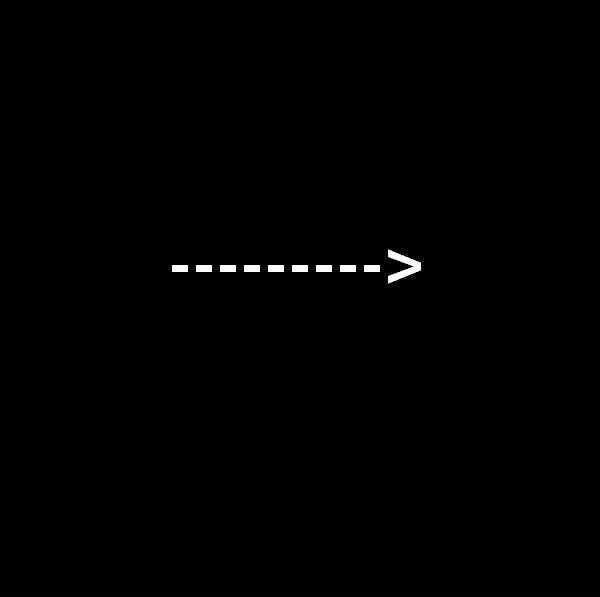 STACY Lambert studied graphic design and was intrigued by the graphic works of M.C. Escher and the surrealistic works of Salvador Dali. 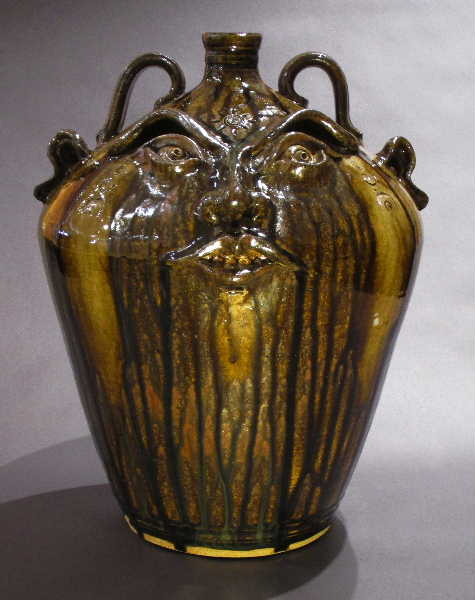 He studied the art of pottery under the guidance of Seagrove potter, Sid Luck. Like any smart apprentice, he learned the technical aspects of firing and glazing from the master, then, as the years went by, he added his own unique talents of painting and graphics to his original creations. His rich color pallet and his three-dimensional interpretations of people and animals are as much fun as a potter ought to have. 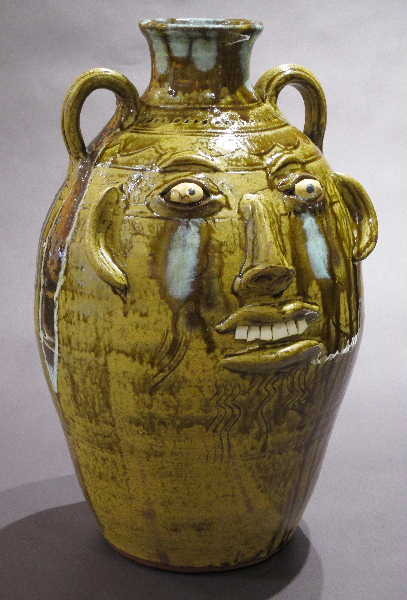 South Carolina clay, electric-fired stoneware. Fully Functional. North Carolina hand-dug wild clay, wood-fired stoneware. Fully Functional.- Look at that Beautiful Glass Run! 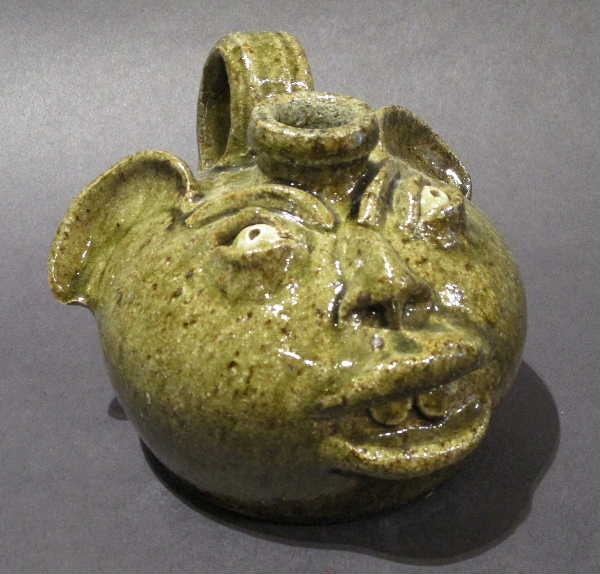 North Carolina hand-dug wild clay, gas-fired stoneware. 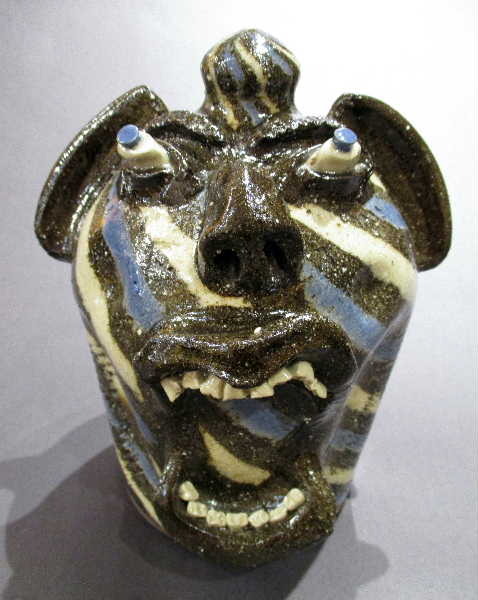 North Carolina hand-dug wild clay, electric-fired stoneware, individually handpainted. Fully functional. 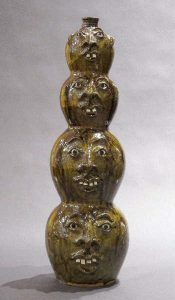 North Carolina hand-dug wild clay, wood-fired stoneware, individually hand painted. Fully Functional. 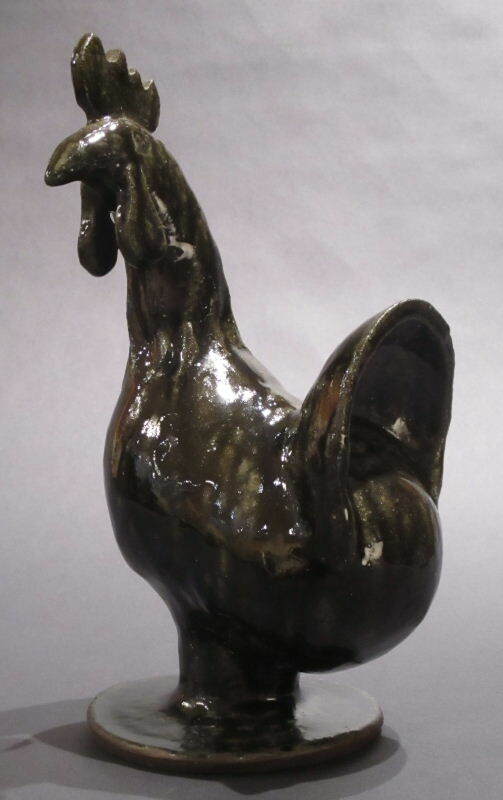 North Carolina hand-dug wild clay, electric-fired stoneware, individually hand painted. Fully Functional. 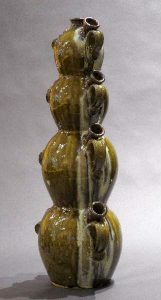 Two colors of Georgia clay swirled together, wood-fired stoneware. Fully Functional. 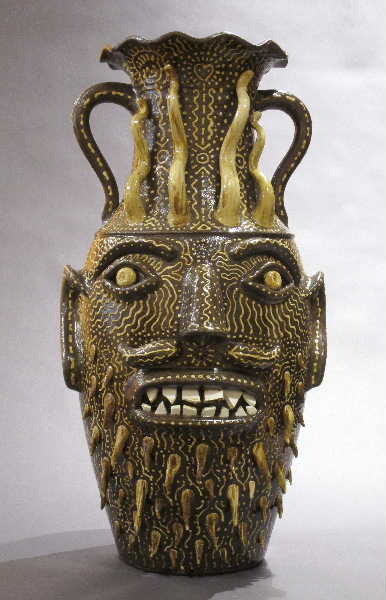 Georgia clay, wood-fired stoneware. Fully Functional. Georgia clay and glaze materials, wood-fired stoneware. Fully Functional.